Have you noticed this article on our new blog site? Go Virtual for your holiday events! Enabling Your employees to have fun by getting together in a 3d venue is the best way to develop your human capital while cutting costs. Instead of spending tons of money on travel cost to gather your employees in one place, go virtual. Altadyn’s avatar-based 3Dplatform enables you to create an entertaining corporate atmosphere for your year-end gatherings. It is easily accessible to your employees from home or office computers, eliminates travel costs, and increases productivity by saving time and can be setup quickly. Want to learn more? Join us for a 30 min demo to see how it may apply to your group. Participants to this presentation will also receive a 10% off promo code for their next virtual event. Tuesday, October 25 from 8:00 – 8:30 AM PST. You can utilize virtual events to provide a memorable alternative to the typical corporate meetings. Act now for this limited time opportunity!! 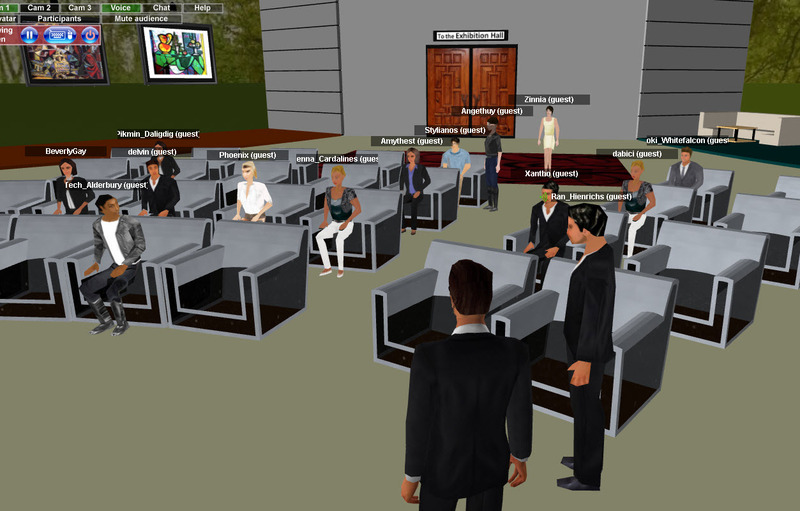 Ten Challenges 3D Virtual Meeting Platforms Face in Corporations? Corporations are used to Webex-like solutions (and even somewhat to Virtual Event platforms) for their Virtual meetings. The top 4 platforms in traditional virtual meetings are: Cisco’s Webex, GotoMeeting from Citrix Online, Microsoft Netmeeting and Adobe Connect. When they need more sense of presence and more interaction and more humanized meetings then they usually used to go for a face-to-face, even though some have been interested in pseudo-3D Virtual Events platforms for large virtual conferences and virtual trade-shows. 3D immersive solutions are filling in the gap by offering an in-between solution, where you can save time and money by keeping it virtual, while increasing engagement and interactivity, thanks to 3D immersion, avatar based platforms. This is an ideal solution for corporations as they have the best of both worlds; reduced cost/saved time (as the platform is running from the users’ computers), and increased engagement and more human interaction, VoIP, avatars interactions similar to face-to-face meetings. So, given these huge benefits, how can this adoption of 3D immersive spaces for meetings get accelerated? What are the real challenges and obstacles to overcome when adopting 3D immersive platforms in the Enterprise? We, at Altadyn, have been in business since 2002. We pioneered browser-based and download-free virtual spaces; 3DXplorer multi-user avatar based platform was introduced 2 years ago and VoIP was added last year. Now, the adoption is taking off; with thousands of virtual attendees in our platform each week, and growing, we are seeing a clear acceleration in the adoption. We are getting closer to mainstream adoption every month, but what have been the issues? Here are some of the most common requests from the corporate users, that we have resolved in the past few years. Software Download or Installation: IT managers in enterprise can’t let users install ANY software without their involvement, tests, approvals or certifications. It doesn’t matter how small is the download. As far as the platform requires IT approval, then it becomes a problem. This has been forever the problem for Second-Life’s adoption in Enterprise until Linden Lab decided last year to refocus on the entertainment markets. Obviously being Browser-based helps, but it’s not enough. If your browser-based system requires a plug-in which is not pre-installed on corporate computers , it’s going to prevent users to attend meetings, even a tiny active-x installation is an issue. Enterprise Firewalls: the platform should not require open ports other than port 80, otherwise similar accessibility issues will need to be addressed. Bandwidth: Most 3D immersive platforms require large bandwidth for smooth animation and for VoIP. This not an issue in most corporate offices, but is sometimes a real issue in remote offices, and obviously one of the main reasons for these meetings or for getting remote offices people closer to large branches or to corporate offices. Mac Support / Multi-OS / Multi-browser: Although Windows is the main platform in Enterprise, almost 10% of Enterprise users are not running Windows. As far as the browsers are concerned, users are starting to have their own preferences, so supporting all browsers helps for a faster adoption. User generated content: As soon as the corporate users discovers the 3D immersion, they want to replicate their key strategic places: their Executive Briefing Center, their Show room, their Command Center, etc. Didn’t we mention the sense of presence as a key advantage? Well once they get it, they want it all. The 3D platform should allow easy import of 3D models. Moreover, corporate users are asking for open architecture to embed hyperlinks, documents, videos, audio, and even more recently, twitter feeds and more. Scalability: Meetings become conferences and customer days become global users group meetings. Corporate users attend meetings from a few participants up to thousands. 3D platforms should be able to handle small meetings as well as large corporate events with thousands of attendees. This means cloud computing support with off-the-shelf pre-configured instances with major cloud computing platforms such as those of AMAZON-EC2 and MICROSOFT. Learning curve: Users won’t spend too much time in learning the environment; chat, VoIP, sitting, laser pointing and desktop sharing should all be one-click features. Simple avatars: Long and complex processes to create an avatar are not welcome for most business users. They want to select an avatar quickly and get in the room. Walking & turning: For most business users who have never played a 3D game, this is not an easy reflex, even though the software only requires pressing on the keyboard’s arrow button to walk. They are not used to walk in Webex! Interestingly, unless they have not gone through this change, they’ll not notice the benefit of 3D immersive, as the immersion will only be felt after walking and turning around. Virtual behavior: Unlike in Webex, your gesture, movements and virtual body language is visible to others. And of course, walking over a table or into another avatar is not appropriate, just like in the real world. Those situations, which bring some fun and ice-breaking moments, can also appear silly or contribute to the “non-serious” or “game” aspect of the meeting thus becoming fatal for its adoption in the Enterprise. They need to be used responsibly. 3DXplorer has left most of the above challenges behind, especially those which are technology-related. We are still assisting users in their move towards more sophisticated applications for virtual meetings and working with them on better setting their expectations. Why Virtual Events Look Like In-Person Events? A few consultants who covered this space have done a decent work answering to these questions, including FROST & SULLIVAN (who predicts more “presence” will be required in Virtual Events), and THINKBALM (who has published several reports on this matter). Have you ever questioned why corporations have always spent so much time and money in building well designed and greatly architect-ed headquarters, and reception areas? Do you have the same feeling when you walk in an underground dark railway station hallway, compared to when walking in a bright glass bridge with a green landscape around your meeting room? Are you familiar with the emotions that environments create in you? The 3D immersive environment and its design by itself creates feelings in each attendee. Now add the fact that you see another avatar in front of you talking and/or chatting. Is it the same sense of communication compared to trying to visualize someone just by their name, in text, in the lower right corner of the screen? Connecting attendees into a virtual event, so that they can see slides, hear a presenter, watch a video (live streamed or not), or even chat to each other, is a resolved problem since 10-15 years ago ( by Webex and webex like platforms). The same way netflix has done with movie watchers or Amazon has done with book readers or Facebook has done for friends… a simple easy way to accomplish the needed tasks mentioned above. But why do people still go massively to in-person events? The demand is now for more HUMAN Interaction, more ENGAGEMENT and for virtual events which are closer to the in-person events. So that the attendee “FEELS” like he/she is “THERE”, and interacts with the exhibitors and with other attendees. Some book buyers, those who miss the human interaction and the seller’s advice, continue to drive a car and go to Barnes & Noble to buy a book where they spend a lot more time and money than just ordering online. Why do they do that? Because they miss something AMAZON is not offering today. Now for Virtual Events, the HUMAN aspect is even much more crucial than for AMAZON. The goal of Virtual Events vendors should be to enable attendees participate to more events, get more content, be more engaged, connect more to each other, enjoy the experience and even have fun. All this in less time and at a lower cost than the in-person event. That’s why everyone tries to create that SENSE of PRESENCE. Some do it with background images(full-size 3D generated), and some go further with 3D immersive, avatar based solutions. In a platform like 3DXplorer, you can virtually “walk” on the same floor as other attendees, shake hand with each other, use your laser pointer to point out something on a slide or show an object to someone, see where each person is looking at, etc…you FEEL being in the same place. PRESENCE makes sense this way. Now, are ALL Virtual Events going to look like in-person events? No. But unlike AMAZON for books, here we have the larger market who has not yet gone virtual, despite solutions being available since 10-15 years. because most virtual event platforms can’t provide that feeling of presence, and they simply don’t facilitate networking and engagement that is effective or fun. If the Virtual Events market wants to deliver on its growth promises, it needs to develop something fundamentally different than Webex which will capture those in-person events. How Did 2010 Turn Out For The 3D Internet Market and For ALTADYN / 3DXplorer? Virtual Worlds, web 3D, “Live 3D collaboration” or “Full 3D Virtual Events” represent different angles of vision for the same group of 3D immersive Internet technologies. As 2010 was clearly the year of emergence of 3D for consumers, I would like to discuss the evolution of this part of 3D internet technologies. During 2010, AVATAR, the movie , 3D TV screens in the shops, controller-free gaming consoles such as Wii and Kinect, and glasses-free 3D TV, all played a key role to massively introduce 3D environments to all generations and not just to the younger generations , as games did in the past 15 years. This created a new dynamic wave for the 3D Internet in general. 1995 when Hollywood started using the first realistic special effects in its productions or just the use of full 3D productions such as Toy Story by Pixar. 2010 was the year of Emergence of accessible virtual 3D environments for all, including consumers. 1) “Virtual Worlds , a la Second Life” are not meant to be for business, but for entertainment. 2) Virtual Events are taking off but customers need more engaging Virtual Events. Within 2010, the tough economy and budgetary restrictions, corporations and event firms produced even more events virtually than in the past, using mostly non 3D web-ex type technologies or pseudo-3D applications, while starting to use full 3D immersive platforms as well. Although some cost reduction goals were fully achieved, they didn’t meet their goals in terms of direct customer interaction, lead generation, new business relationships (see the TSNN report, tables 9 and 10). In another study, ROI of engagement, it apparent that customers need more engaging virtual events which facilitate networking and encourage active participation. Those clients, who experienced virtual events, notice that it’s much easier to setup a virtual event than a real event, and the cost of maintaining a virtual event space is a fraction of the cost of building it. Consequently, they are interested in more frequent virtual events or even perpetual trade-shows or show rooms where visitors can interact with company’s representatives, at any time. That’s the reason why 3DXplorer’s Meet-in-3D service is becoming more and more popular. 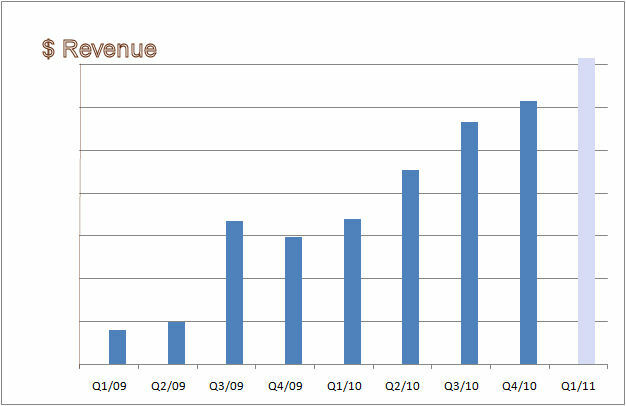 This service saw a fast growth in 2010 and the trend for 2011 is continued. As a reminder, 3DXplorer/Meet-in-3D enables the transformation of anonymous visitors of a website into real prospects. The trend in 2011 is in the continuity of 2010, with the market getting shaped in a more determined manner as per the above orientations, and we all look forward to it. New Release: 3DXplorer V 5.4.08 is released today! Eight months after pre-announcing V5.4, and with an intensive and long set of tests and real meeting experiences, a new version of 3DXplorer V5.4 is released. As of today, the ‘Last Release” status is attached to V5.4.08. The most important feature is a more robust and higher quality VOIP, which uses a dedicated port if the user’s firewall authorizes it (if not, the standard port 80 is used). New meeting planner with invitation text supporting 8 different languages for 3DX/Online Meeting and 3DX/Conferencing, and customizable invitation templates. Many of you have set your version to a test release to use VOIP, so please make sure you reset your space to LAST RELEASE status. Enjoy the new features and please feedback.